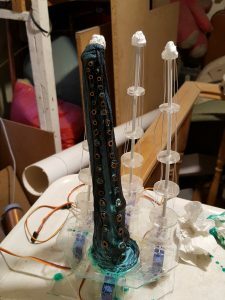 The centre of the tentacle is the spring from a net curtain. This gives the center rigidity whilst allowing the tentacle to move in any direction. 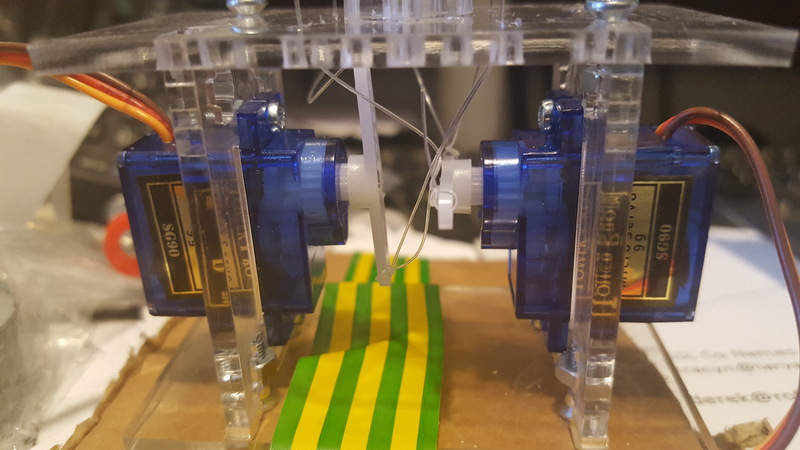 The fishing twine is threaded through a set of acrylic rings and tied off at the top. 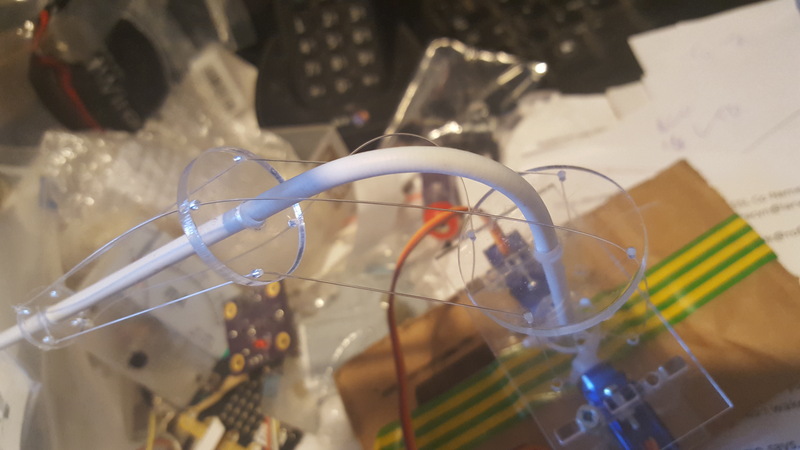 Puling on one of the nylon twines from the bottom caused the tentacle to bend in that direction. 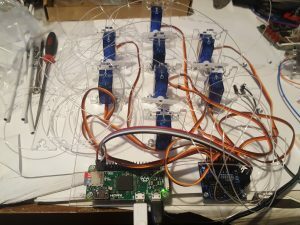 The Tenticle and servos are controlled (as a test) from a raspberry pi using the two PWM channels to control each servo. 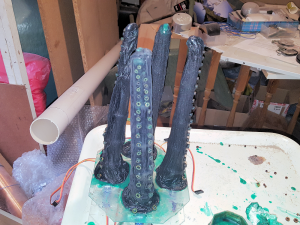 Once the single tentacle was proved I built a set of four. stockings were then covered with a couple of layers of liquid latex togive a shiny look. The suckers were laser cut out of 2mm MDF. 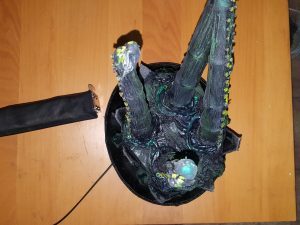 I made 5 sizes of sucker from top to bottom and glued them on using the liquid latex. 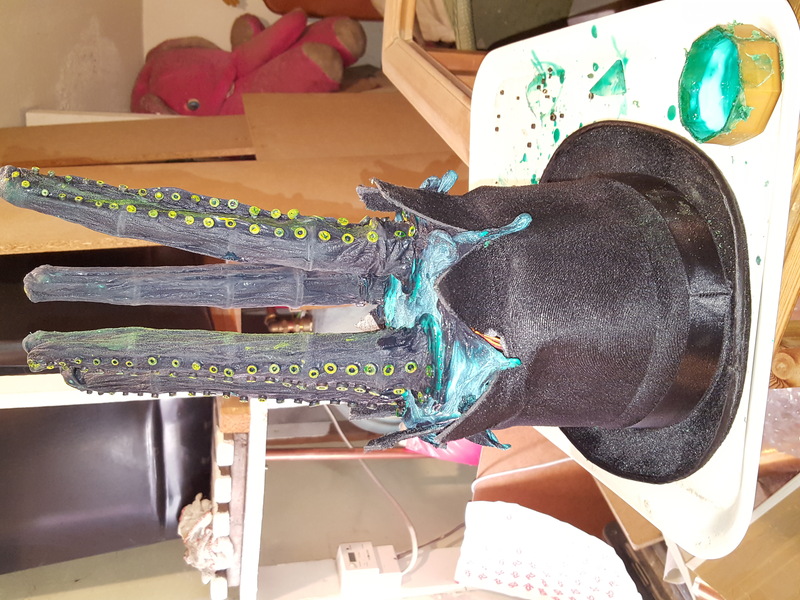 used to give the base some texture and hide the acrylic base. 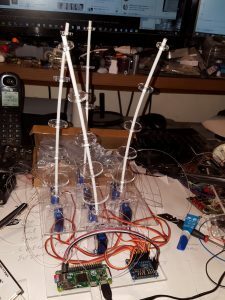 In the base is an I2C 8 port PWM controller and a raspberry PI. The pi is set to give X&Y sign waves to each tenticale to make them look like they are naturally waving. 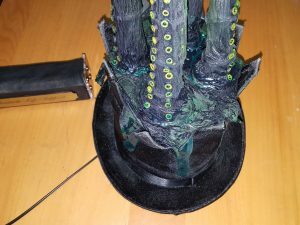 The set of tentacles were pushed into the top of the hat. 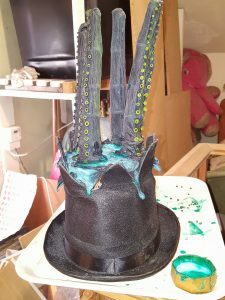 The hat top was cut into 8 peices to give the effect that they had broken through the top of the hat. 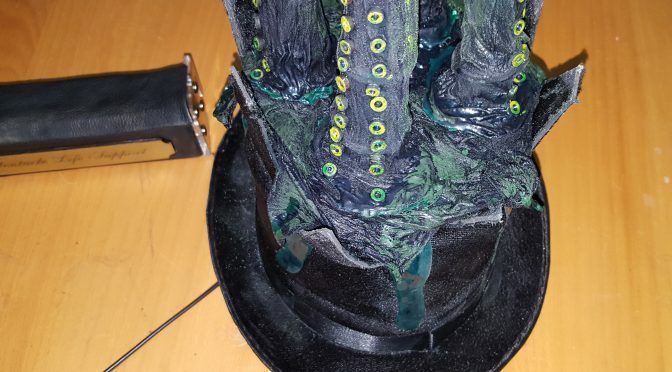 Drips of green liquid latex were added in each hat cut to simulate slime dripping down the hat. I was hoping to power the hat from a 5V USB lithium battery pack, but when it was all put together the current exceeded the 500mA allowed from the packs. So I had to improvise a 12V supply, which feeds a 1A 5V regulator in the hat. 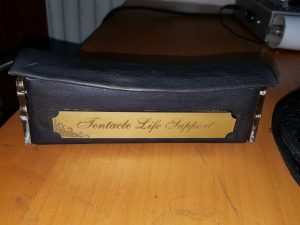 The SLA battery is wrapped with a piece of leather and and a engraved and painted Acrylic label.